Remember Konami's Contra which we used to play on our PCs in the days gone buy. It was a cult in those days and PunchBox Studios wants to take you back to your childhood. The Konami's Contra has been resurrected by PunchBox albeit with a new name "Contra : Evolution". The Contra : Evolution has a simple game play but remember it was addictive then and it is addictive now. 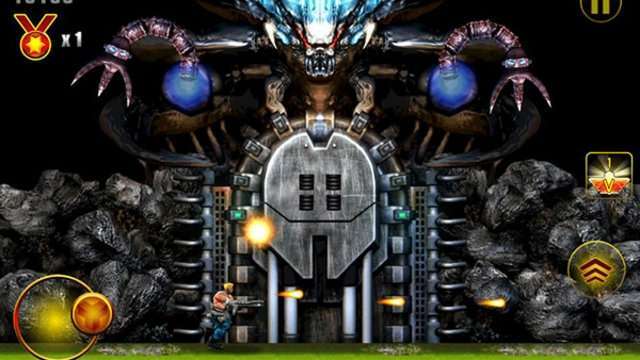 It is a run with the gun and shoot your enemies game with lot of guns, powerups and enemies to kill. You have to be very swift with the fire button or you are a goner. So it is nice a skill and speed game that you will ever encounter. The game comes with new graphics and a whole new avatar. If you are interested in buying this shoot them up game, you have to spend $0.99 (Rs.63.00). If you are still game, then head over to Google Play now.